When dealing with research in microfluidics you have to choose first the right material for your microfluidic experiment. Once you have chosen your material, if you don’t fabricate your microfluidic device by yourself, it is important to choose the right manufacturer to fabricate your microfluidic chip. You can chose between number of different types of manufacturers. They all have their advantages and drawbacks depending of your requirement in terms of materials, resolution, chemical compatibility… In this short review we will present the main microfluidic device foundries with a short description of their offers. Need an advice to choose your microfluidic foundry? AchiraLabs experienced chip designing team can help you through the design, prototyping and fabrication of lots of small microfluidic chips in PDMS, thermoplastic materials or make a silicon master with SU-8 for your specific application. 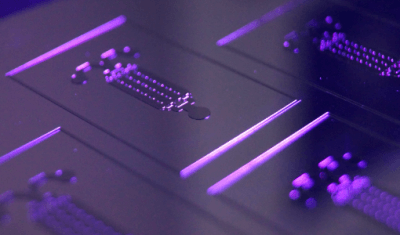 Accelerated microfluidic development; go from design to device in less than two weeks. 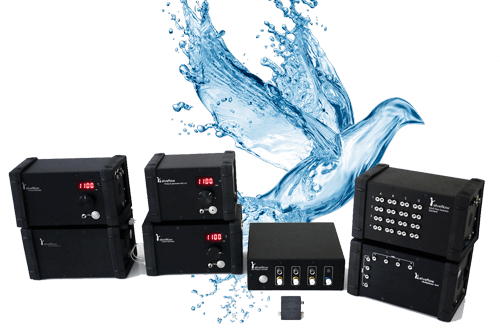 ALine has a set of engineered fluidic components such as valves, pumps, vents, and metering channels, that can be readily integrated into a custom chip to support a variety fluidic workflows and with semi-automated control using the ADEPT pneumatic controller. 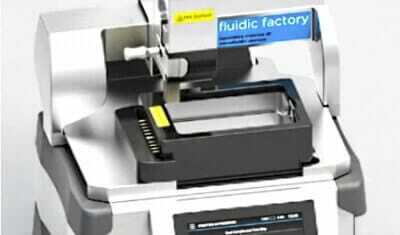 Also probably one of the most famous microfluidic polymer chips foundry. 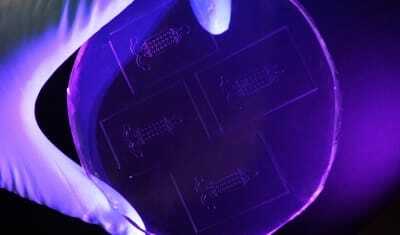 ChipShop also provides glass microfluidic device with and without electrodes. 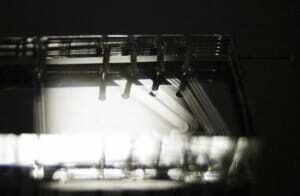 They have a wide catalogue of standard microfluidic chips for various microfluidic applications. 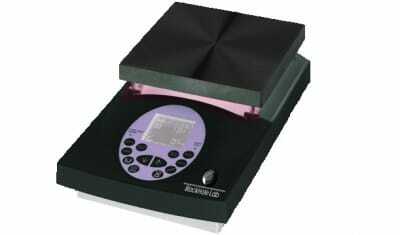 They also provide full custom microfluidic chip either in small quantity & mass production. CMC Microsystems provides microsystem researchs with industry-calibre resources, acess to state-of-the-art prototyping technologies, tools for test and support services. CMC provides design environments CAD tools for design and fluidic analysis with finite element analysis technics, Prototype manufacturing services, Technology files and user guides for manufacturing process, Engineering support. Dolomite microfluidics provides standard glass microfluidic device for the main microfluidic applications, especially droplets. Epigem has the particularity to provide both PMMA & PEEK microfluidic devices. Epigem provides full custom microfluidic devices either for small volume or mass production. FlowJEM is a company from Toronto, which provides full custom PDMS microfluidic device, and Polycarbonate, Cyclicolefin polymer and Acrylic thermoplastics microfluidic devices. Based on the MEMS foundry service, personal expert advice and all peripherals around the chip, iX Factory offers fabrication and project work. These services are basically very diverse. Founded on your needs and goals, iX Factory adapts the services. iX Factory offers various solutions from development to prototyping to batch production. iX Factory specialises in microreactors, lab-on-a-chip, integrated optics, MEMS structures, as well as, in (Bio)MEMS. Klearia is a French innovating company which provide glass microfluidic devices with and without electrodes. 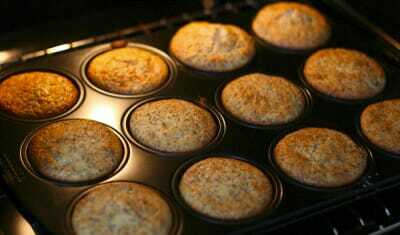 Since Klearia are still a small company they are quite open to propose some exotic development and attractive price. LioniX is a leading provider in development and small to high volume production of leveraging and innovative products based on microsystem technology and MEMS. 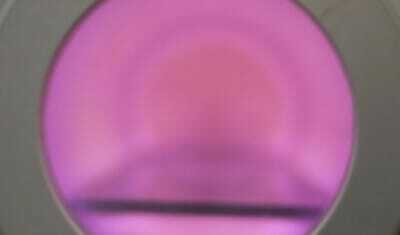 There core technologies are integrated optics and microfluidics. LioniX also provides MEMS foundry services. Micralyne have the particularity to be able to also provide sensors, MEMS and optical MEMS. If you need complex full custom microfluidic devices integrating sensors or any micro-machined active elements. 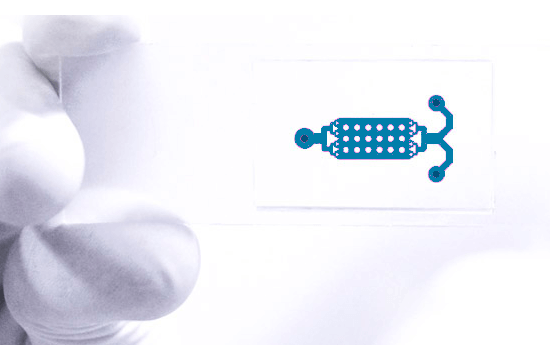 Microflexis provides thin and flexible polymer microfluidic devices. 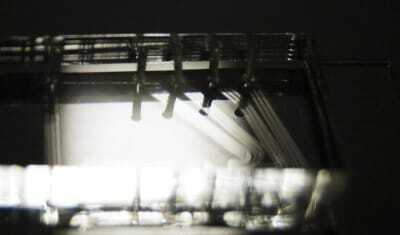 They provide thin polycarbonate (PC) and polystyrene (PS) microfluidic chips. 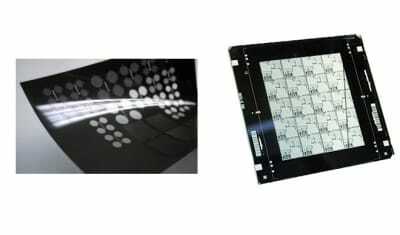 They also provide full custom microstructured polymer film and polycarbonate (PC), polymethylmethacrylate (PMMA), polystyrene (PS), polypropylene (PP), polyethylene terephtalate (PET) and cyclic olefin polymers (COP, COC) microfluidic chips. 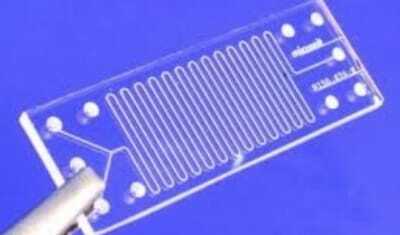 MicroLabDevice provides microfluidic chips based on polymers and offers a range of fabrication methods depending on design, volume and whatever features are required to be integrated. They have techniques for integrating valves, powders, reagents and electrodes, to make the diagnostic cartridges smarter, self-contained and low-cost. They offer a custom fabrication service where they can build chips to your design and you might benefit from some of their standard designs in their catalogue or if you want a fully-fledged system with a custom cartridge they can also help with that too. microLIQUID is a company that designs, prototypes and manufactures dispossable microfluidic cartridges for the IVD, VET and Point of Care industries. microLIQUID has also developed a range of devices to adapt Elisa-style tests perform in the lab to point of care analysis, opening a window for commercialization of the test in environments where immediate availability and fast results is necessary. microLIQUID does not enter the IVD, VET or POC markets, microLIQUID is offering a new tool to those companies in this markets that can be used with a range of samples (serum, salive, urine) to obtain quantitative or qualitative assays in nonlaboratory locations. Micronics provides custom design and development services – including prototype to commercial development of stand-alone disposable cartidge/instrument systems. Probably one of the most famous microfluidic glass chips foundry, Micronit also provides since 2014 microfluidic chips using various polymer and also silicon microchips. 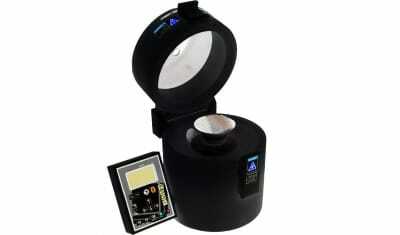 They can integrate various types of electrodes in their chips and have an interesting range of chip holder. They provide either standard chips or full custom development of microfluidic devices and can provide microfluidic chips both in small or mass production industrial quantity. MicruX develops reusable microfluidic electrophoresis chips manufactured on highly resistant hybrid SU-8/Pyrex material. 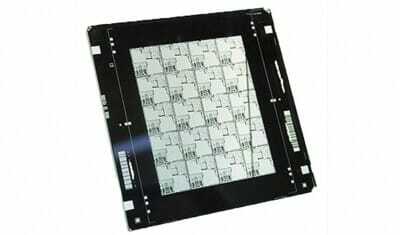 Moreover, microfluidic chips are fabricated with integrated electrodes on the pyrex cover plate. The innovative microfluidic chips provide a long life (over 1000 runs/injections) with a low-cost, high efficiency and precision. MiniFAB takes care of every steps from the conception of the microfluidic device to its packaging for commercialization. MiniFAB provide PMMA, ABS, PVC, PET, COC, COP, PI, PEEK, PP, PU, PS and others polymer full custom microfluidic devices. MiniFAB can integrate various thin film materials such as Al, Cu, Au, Cr, Ti, Ni, W or parylene. NILT offers production of polymer microfluidic chips by injection molding – both small series and high volume manufacturing are offered. The chips can be made with multiple channel depths and with sub-100 nm to several 100 µm channel widths. SIMTech provides a range of polymer microfluidic chips such as PS or PMMA and chipholder. SIMTech can provide either standard chip for common microfluidic application or full custom chip for a given application. Sony DADC BioSciences is a leading OEM supplier of smart polymer-based consumables to the in-vitro diagnostics, life sciences and medical technology industries as well as selected segments of the electronic industry. Sony DADC offers full solutions for the fabrication of macro-, micro-, nano-structured and multi-layer polymer devices. The Stanford microfluidic laboratory was one of the only foundry which proposed custom made multilayer PDMS microfluidic chips which integrate quake valve. 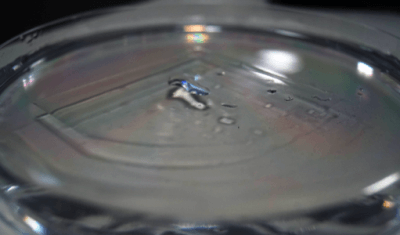 Stanford Microfluidics Foundry has now stopped this activity. ThinXXS provides polymer microfluidic chip development and manufacturing mainly for biomedical application. ThinXXS seems to be mainly adapted to customers who want to develop their biochip for commercial application. Trianja provides micro and nanofluidic glass chips with resolution down too 100nm. Trianja also provides glass mold for PDMS casting and hot embossing. z-microsystems is specialized in providing microstructures on polymer chips for fluidic application. z-microsystems has its tool shop to produce precision injection molds to deliver high quality chips. 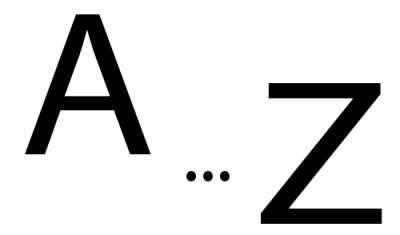 With its in-house technologies and know-how, z-microsystems supports customers around the world from development phase through prototypes to mass production. Post molding processes like bonding and coating could be included in a full service collaboration.